Nanometrics provides market-leading high-performance process control metrology and inspection systems used in the fabrication of semiconductors, high-brightness LEDs, data storage devices and solar photovoltaics. We are committed to teamwork and continuous improvement that allows us to outperform our competition with technology leadership and profitable growth. Nanometrics’ automated and integrated systems address numerous process control applications, including critical dimension and film thickness measurement, device topography, defect inspection, overlay registration, and analysis of various other film properties such as optical, electrical and material characteristics. The company’s process control solutions are deployed throughout the fabrication process, from front-end-of-line substrate manufacturing to high-volume production of semiconductors and other devices, to advanced wafer-scale packaging applications. Nanometrics’ systems enable device manufacturers to improve yields, increase productivity and lower their manufacturing costs. Nanometrics has an extensive installed base of more than 6,500 systems in over 150 production factories worldwide. Our major customers and original equipment manufacturer partners include the largest semiconductor and process equipment manufacturers in the world. Nanometrics was incorporated in California in 1975 and reincorporated in Delaware in 2006. 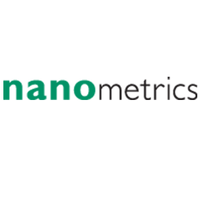 Nanometrics has been publicly traded since 1984 and is listed on NASDAQ (NANO). The Environmental Health & Safety Senior Manager is responsible for developing, implementing and maintaining the Company’s global EHS strategies, programs, and initiatives that align with the achievement of the Company’s and Customer’s key objectives. You will engage executives, employees, contractors, service providers and other key stakeholders in developing strategies, goals, executing plans and delivering results. This position is responsible for assessing the current EHS capability and determining the optimal structure required to drive EHS continuous improvement in the Company. This position requires the ability to successfully drive change management for EHS programs and initiatives through a decentralized/matrixed organizational structure by influencing and mobilizing cross-functional teams and effectively communicating vision and objectives. Determines requirements based on business needs develops and implements all EHS programs and policies required to protect personnel, property, the surrounding community and the environment from potential hazards. Develops and oversees safety and industrial hygiene activities and programs to detect, evaluate and control occupational hazards associated with manufacturing, office, warehouses, laboratories and other work environments. Scopes develops and oversees company training programs for employees in areas such as compliance training, lab/plant inspection, hazardous material handling, emergency response, industrial hygiene, and life safety. Follows up with training participants to assess the absorption of training content and behavior changes. Ensures and reports on compliance with federal, state, and local regulations pertaining to environmental safety and manages communication with appropriate agencies. Supervises, coaches and leads EHS personnel and cross-functional personnel in the execution/completion of EHS management systems and programs; administers the emergency response plan. Selects directs and manages the relationship with top-notch consultants to improve the compliance demonstration in all EHS Programs. Assesses and reports on current operations and future projects to ensure compliance with all applicable Federal and State EHS rules and regulations, and corporate policy. Promotes continuous improvement in the EHS function, integrating tactical and strategic planning. Creates an impactful vision for EHS and communicates a supporting strategy with clarity, consistency, and impact to align resources, management, and stakeholders. Keeps abreast of complex EHS regulatory requirements and translates them for business leaders and helps them leverage that information to make effective, strategic business decisions. Remains current with company, industry and regulatory activities to ensure the Company maintains an exemplary record with respect to EHS compliance and employs leading management practices. Integrates and directs EHS activities to ensure they are conducted in a cost-effective manner; develops and controls EHS integrated budget. Assures that EHS risk assessments are performed to minimize potential exposure and/or releases. Establishes and implements sound and proactive programs and practices for accident and illness prevention. Ensures preparation and procurement of all required permits and licenses and assesses compliance with the corresponding requirements. Assures that appropriate safety equipment, emergency response equipment, and safe work practices are employed through the company in specific jobs/projects and in accordance with local, state, federal and corporate standards. Assures compilation, analysis, and reporting of accident/incident statistical data to management to identify, evaluate and drive corrective actions. Oversees and manages all field activities related to EHS Programs. Collaborates with account managers, responds to requests for information from customers and may interact directly with customers.